At some point, it was rumored that Samsung will be working to cut down on the huge number of devices it sells today, something that has made it quite difficult to choose which Samsung model to actually buy. At the same time, the availability of such a huge variety of Samsung devices has meant that almost every price category has a Samsung handset, be it the entry-level, mid-range or high-end market. While the number of products of in the high-end market is almost certain, the number keeps growing as far as mid-rangers and low-end models are concerned. As far as the former category is concerned, a new set of Galaxy C series units came in earlier this year, namely Samsung Galaxy C7 and Galaxy C5. While these phones’ availability is limited, a new report has surfaced suggesting that a third variant of the series could in the making. 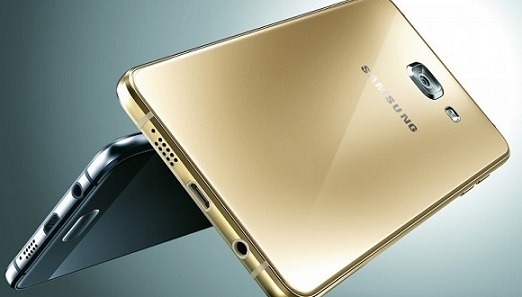 Dubbed Samsung Galaxy C9, the phone will keep the design aspects of the Galaxy C7 and C5, but the size will resemble what you see with the Galaxy A9 phablet. Apparently, the supposed Samsung Galaxy C9 goes by the codename Amy and has model number SM-C9000, Sam Mobile can confirm. As noted, the design language will be similar to the rest of the Galaxy C family, but expect a huge 6-inch Super AMOLED display screen with Full HD 1080p resolution. Samsung has not said a thing about the phone. It is also not known if it will see light in other countries other than China. After launching them in May, Samsung went on to release the Galaxy C7 and Galaxy C5 in June. But these two are only available to Chinese buyers, with the rest of the world yet to get their hands on the phone. It is possible that the rumored Galaxy C9 will take the same direction and remain exclusive to the Chinese market. Most of the specs used on the Galaxy C7 and C5 are the same, apart from the fact that the former uses a Snapdragon 625 SoC while the latter has a Snapdragon 617 SoC on board. They share the same RAM, onboard storage, camera specs, screen resolution, but of course, the battery capacity of the larger C7 is also larger at 3300mAh as compared to the 2600mAh used on the C5. You still get to fast-charge the phones via Qualcomm’s Quick Charge 3.0 technology. With the release of Samsung Galaxy C9, the tech giant will probably step up the processor model and battery capacity, but the rest of the hardware specs should be retained, including 4GB RAM, 32GB/64GB storage as well as 16MP/5MP camera combination. A fingerprint scanner and Android 6.0 Marshmallow are also expected to be part of the specs sheet.